Although it sounds like the name of a band, Lunatic Soul is really the solo side project of Riverside bassist and singer Mariusz Duda, with help from drummer Wawrzyniec Dramowicz. 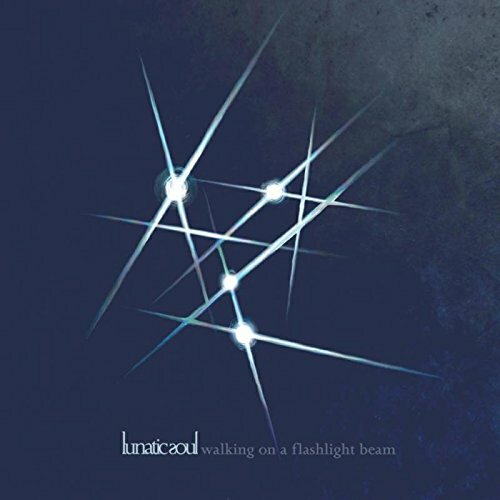 Memories of three previous Lunatic Soul albums are fuzzy at this point, but Walking on a Flashlight Beam seems to step out boldly and push all the right buttons: it’s dark, emotional, powerful, and proggy – whatever that may mean – one will certainly know what it is when they hear it. Interestingly, no guitars are used on the album, only bass, drums, ukulele, congas, flute, and other ethnic instruments (and samples thereof) from around the world, plus multi-tracked voice and whatever magic the studio can provide, courtesy of engineers Robert Srzednicki and Magda Srzednicka. The sounds one will hear are rich and thick with atmosphere, spread across nine discrete tracks. Those expecting something heavy and rock oriented like Riverside’s latest Shrine of New Generation Slaves will be quite surprised that this is nothing like that; here the style is far more experimental, introspective and melancholic, with some vague similarities with the direction that Porcupine Tree was going in the Stupid Dream period, though here the mood is more somber and the arrangements more lush. Oh yeah, it rocks sometimes too, but make no mistake, this is not Riverside. One standout instrumental track is “The Fear Within.” opening with a variety of looped ethnic bells, gongs and other percussion slowly morphing into a catchy irregular rhythm, crossing the plateau with a gentle acoustic guitar figure, and ending up in a pillow of whirlwind effects. The long and the short of it is that there’s a lot of interesting music here waiting to be discovered, revealing itself slowly over many listens.